Ferry/ Passenger ship with High tunnel clearance for ocean work. 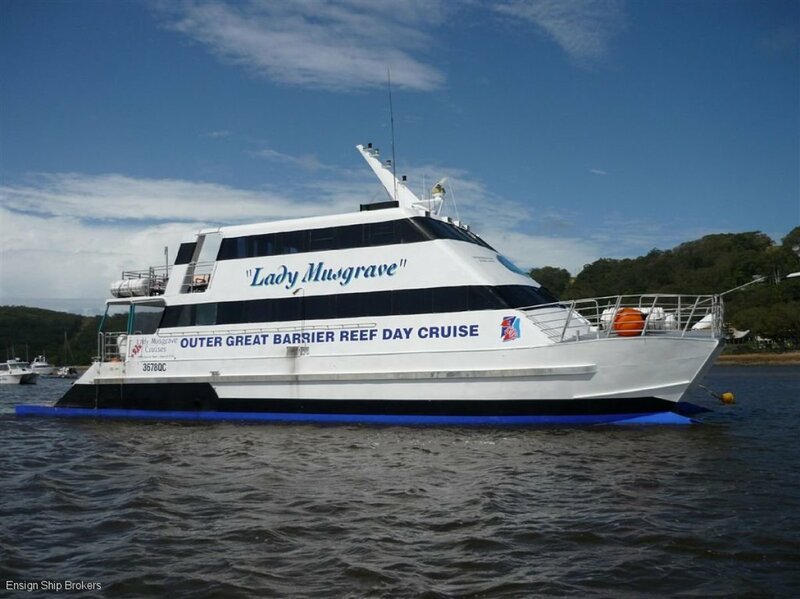 This Ferry/Passenger vessel would suit an Island to mainland passenger transfer , Whale watching or any large passenger operation in an open ocean situation, carrying 150 pax in 1C certificate of operation. The vessel Has one engine replaced already with a C32 Caterpillar and the other engine is yet to be fitted but is supplied, The engines cost $240,000 to buy new in (2008). - 6 x 25 man RFD. The owner is super motivated to sell.